TodayMarinadelRey.com features luxury apartment rentals for work and play, just minutes from Los Angeles, Santa Monica and Venice Beach. For more info visit TodayMarinadelRey.com. 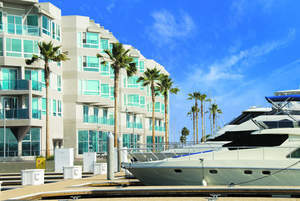 TodayMarinadelRey.com, a guide to luxury apartment living in Marina del Rey, allows you to choose your oceanfront apartment rental to live the vibrant Southern California lifestyle. MARINA DEL REY, CA--(Marketwire - Jun 24, 2011) - TodayMarinadelRey.com brings to life the Southern California lifestyle with its luxury apartment communities that allow residents to explore and enjoy waterfront living. Just minutes from Santa Monica, Venice Beach and Los Angeles, you can lounge by the pool at Bar Harbor apartments, enjoy a sunset from the lookout tower at Mariner's Village or kayak outside your apartment at The Tides & Waters Edge at Marina Harbor. TodayMarinadelRey.com is the perfect guide to Marina del Rey living, sailing, shopping and exploring, with something for everyone. As a community resident, enjoy a Fourth of July gathering at Esprit Marina del Rey on July 2nd and celebrate independence with a barbeque, drinks and dancing, just one of the many community events Marina del Rey residents experience. TodayMarinadelRey.com and the E&S Ring's properties also offer community mixers, yoga classes, tennis clinics, pool parties and more. Struggling to get in shape for summer? Hit the gym at the on-site apartment fitness centers fitted with state-of-the-art equipment. Enjoy a treadmill run, lift some weights then relax in many of the properties' steam rooms or saunas. With three oceanfront apartments for rent offering boat slips and secure dock access, enjoy the water with boat slips at Marina Harbor Anchorage, Esprit Marina or Bar Harbor Anchorage. Each marina boasts dedicated dock attendants and ample parking for boaters and guests for the best boating experience, right at home. 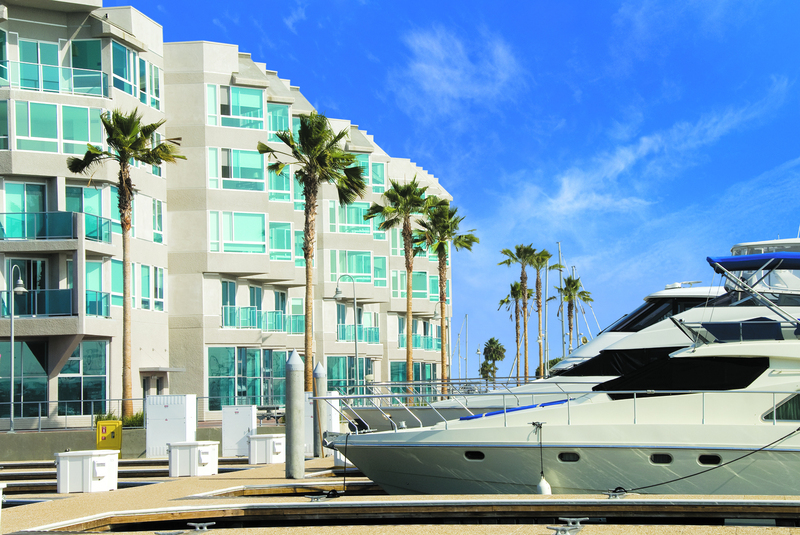 Check out TodayMarinadelRey.com for apartment and boat slip rentals to begin enjoying all that the beachside community has to offer today. The E&S Ring family of apartment and boat slip rentals offers a range of leasing rates, making it easy to find a place to call home (or dock your boat).